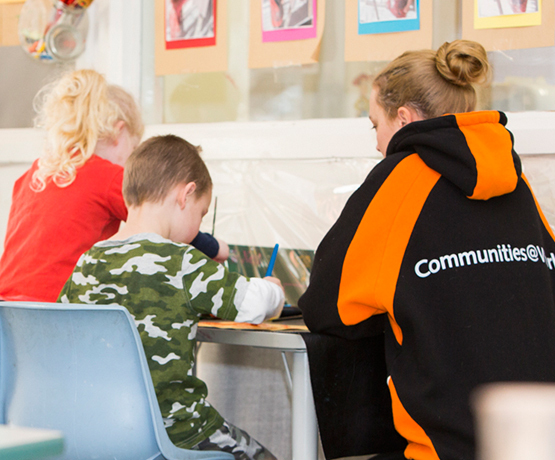 Communities@Work’s Richardson Child Care and Education Centre provides long day care for children prior to attending Richardson feeder preschools and offers permanent part time care for children enrolled in the Government and Koori Preschools. Richardson Child Care and Education Centre provides sessional drop off and pick up at both preschools. We have a strong relationship with the school and belong to the Richardson Hub which is made up of services in the local area. We provide a nutritionally balanced morning tea and afternoon tea each day. We cater for individual dietary requirements and specific needs. Please note the above rates are before Child Care Subsidy (CCS) is supplied, if eligible.